I went to this inspiring exhibition yesterday with a group of Westminster Council Recycling Champions. We had a chance to meet the project curators and learn more about the ideas behind it. It was so positive to hear that there is a growing group of people who say no to the throw-away culture and are happy to repair and reuse. The event left us with an urge to become one of them, and I hope this feeling will stay (at least long enough to actually mend something 🙂 . 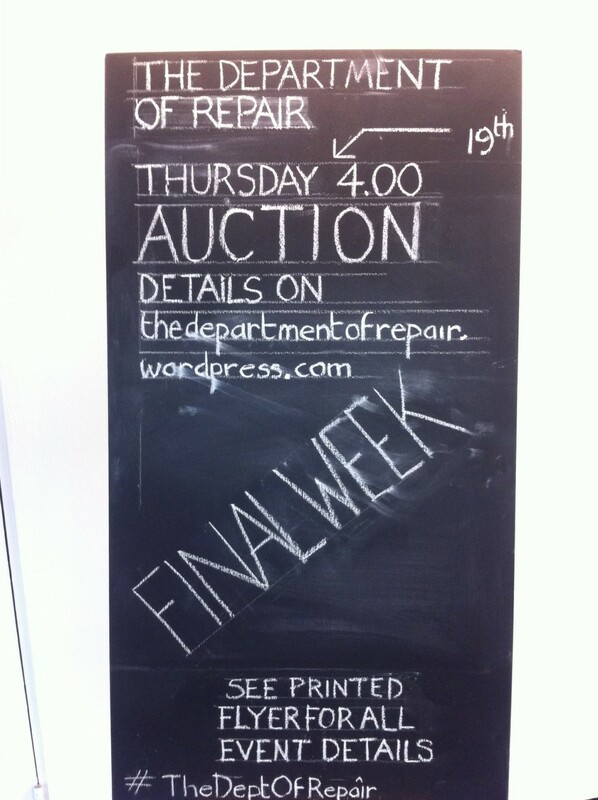 The exhibition is on till tomorrow so go and see it if you can, or join the cash-free auction today. And then have a go at repairing! This entry was posted in Uncategorized and tagged #DeptOfRepair, recycling, sustainability, sustainability communications. Bookmark the permalink.